The most basic fleece apparel item is one we all know and love - hoodies. Full zip sweatshirts with a hood or pullover hood with a kangaroo pouch pocket. Classic, fashionable, and comfortable. Of course, we have a standard crew neck sweatshirt too and sweat pants to match. These garments are almost invariably a cotton-polyester blend. These basic fleece garments are very versatile when it comes to decoration. 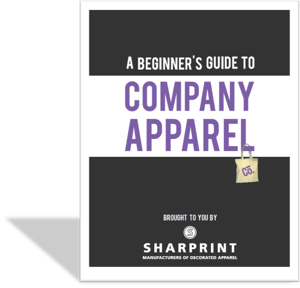 Screen print, embroidery, and direct to garment are all options to consider depending on the art, purpose, turnaround time, and budget for the project. There are quite a number of fleece garment items that fall outside of the basic sweats category that should not be forgotten. Deep pile fleece pieces are a favorite for a more dressed up but still casual look. These come in a variety of colors and styles including ladies specific cuts. These come in full zip and ¾ zip designs. Certain styles are available as vests, as well. Because of the “fuzzy” nature of these garments, embroidery is the most frequently used method of decoration although screen print may be a possibility. A large number of jackets and light outerwear can be included in this category. The jackets tend to have polyester or nylon shells and are fleece lined. Because of the higher end nature of these apparel items, they are almost always embroidered.